Update: WhatsApp now officially supports Nokia X Series and hence the tutorial below has been modified accordingly. On 2nd September 2014, WhatsApp released an update (version 2.11.371) which directly supports the Nokia X series devices. I’ve personally tried it on the Nokia X2 and it worked pretty smooth. On your phone, go to settings> security and check the box in front of Unknown Sources. Click here to download the latest version of WhatsApp on your Nokia X device. Wait for the download to finish (you can check the download progress in the Fastlane by swiping right from the homescreen). When the download finishes, tap on the downloaded WhatsApp.apk file to begin the installation. When installed, just open WhatsApp and complete the verification. Start using WhatsApp on your Nokia X, X+ and XL. 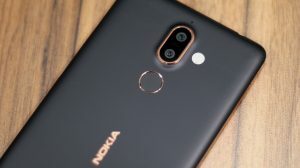 Finally it is moment of rejoice for the Nokia X users as there isn’t a need of workarounds anymore and you can install WhatsApp normally on your Nokia X, X+, XL and X2. Thanks Elton for updating us. Cheers. Download kisi folder me save hua hoga na. Waha jake usko run karo. I’ve tried to download whatsapp on my nokia x2 but when downloading it says downloading failed. Please try using an alternate browser or download on your PC. Hello.my phone Nokia x2-02 ‘s 2nd sim jeck not working. And whatsapp cant runing without 2nd so help me. If u have any idea. That’s more likely a hardware fault and you need to visit a service center to get that fixed. How can download google App on Nokia X?? Are you taking about the S40 based Nokia X2-02 or the Android based Nokia X2? This article refers Android X2. Help! After a successful download, it keeps said thete isn’t enough space on my device and yet there is. This has happened like 5 timed. Did you follow the instructions already mentioned? Are you certain that the date on your phone is correct? i have download it without any problem n now using properlly. Then your download didn’t complete successfully. Whatsapp is not working in nokia x2-02 , s40, why? Wao! Thank u so much for the link. i downloaded it on my nokia XL peacefully with out any problem. I’ve tried to download the same version on my nokia x200 but when downloading it says downloading failed. All the settings are updated. Does downloading whatsapp on x2 needs a memory card ? It is for the Android version of X2. For X2-00, please open whatsapp.com and download. Do you have the SIM card inserted to your phone? Did you wait long enough for it to be initialized? Sometimes it takes longer. Hi, I use a nokia xl, my watsap stopped after using it for a while, I uninstalled it n since then I have been having problems installing it again, it keeps saying downloadn failed from the link u sent. Plss help. It might be your network connection. Please try downloading using a PC and then copy to your phone. It really worked for me just by following these simple steps. I was struggling for a long time. it’s worked on my Nokia xl. Thank u so so much. It worked perfectly, thanks…but can i uncheck the settings now? Thank you, it worked on my Nokia X. How can i download whatsapp in dis.. I tried many times.. But im nt getting it..
You need to download it from http://www.whatsapp.com/s40/ in that case. The method is for Android based Nokia X2. Is that the Android powered Nokia X2 or S40 based X2-00 and the likes? earlier i ws using whatsapp on my nokia x.. but it stopped working.. i was unable to send or receive any message..i have uninstalled it and installed it again but while doing verification it got stuck.. please help me..
You’re welcome dear 🙂 Enjoy! I have downloaded whatsapp but can’t verify my phone number on nokia x2. How do I do dis? I get the response “Your client has been changed. Get google play services. Pls jelp me sort this out. Are you running the latest version of Play Services? Actually Google Play Services were added to the phone via a software update. And it doesn’t use Windows. It is Android, skinned to be like Windows Phone. Try installing a store like 1Mobile and see if it shows update for Google Play Services. Also, is your phone software updated to the latest? M having service not available problem while downloading and loading..but the opera mini is still working. Why in nokia x2 ds whatsapp always shows 24 hrs time format?? Hey.. Earlier i had whtsap downloaded in my nokia x2.. But one day as it mostly does asked for upgradation.. It wasnt getting upgraded, so i uninstalled it…n thought i would download it again.. But since den m not able download it on my nokia x2.. It says ‘service not available’.. Please advice sumthng..
Looks like the Xpress Browser is not working. Can you try using any other download manager to complete the APK download? Say UC Browser? 1.Download my app “WApp Launcher for Nokia x” from Nokia store. 5. Open app “Whatsapp Launcher for Nokia x” and there will be no error to open Whatsapp have fun. Its still refuses to download in my Nokia X2.cant even find it on my play store. That’s strange. Can you try using a Download Manager to Download the file? Its working on my Nokia XL. Thanx bro. Good to know that, Faiz. Enjoy! Sir, i hv been using whatsapp for very long time on my nokia x.. Can install the original version now? You should consider downloading over a WiFi connection. Remove that and install it again by following the steps in this post. Does it show some error? I used it and it worked like magic, you can try ! Ive being trying 2 download dis app on my Nokia XL device bt its not working. Download wil start bt wil end up hanging after som few seconds. Try using some download manager. What happens when you download and install it? Waooh ts working smoothly with my nokia XL thanx!!!! This is not for the X2-02, instead the Android based Nokia X2. Latest version downloaded but not opening … When I click on icon it opens one mobile market….. What to do?? Normal WhatsApp now supports Nokia X series, so you should simply start using that instead of WhatsApp Plus. Can you please send me the links form where should i download the app and is there any tricky job to instyall it?????? because I have tried from 9apps and many more but it was showing phone not supported..
A link is included in the post. Did you try? Will This work on Nokia x2-02 ?????? I had surfed and tried different solutions uploaded, but neihter worked. It needs to work. Try it? I tried on X2.lt works.thank u.
Nokia X, X2 and XL run android too 🙂 So that’s the right file. What error are you seeing? It should work just fine. After dwnlding the latest version of Whats App, it is not possible to INSTALL the same! Whenever the INSTALL option is clicked, the phone is switched off automatically only to start again—-WITHOUT INSTALLATION! Another problem is that, as soon the phone is switched on, several msgs with apps which have stopped working pops up! Can’t understand what to do! Feels that it has been a really bad investment by me to purchase a NOKIA XL DUAL SIM phone! Pl. Help me in proving me wrong, if anybody can! I wld be ever grateful! It seems to be a problem with your device. Consider resetting it to factory state. I have a dout that what shall we do when this watsapp version ask for an update????????? Thank u so much fr dis.. seriously its working on mah xl..
Hi…I am unable to install whats app on my nokia xl. Plz help me. Plzz hlp me how to download whtsapp my nokia x …plzz say whats I m doing that..
thanku sooooo muchhhhhh now i am enjoying it ……………. I cannot create that, however I’ll definitely write a post if I see any further development about running Play Store on Nokia X devices. Ohhh narendar youuuuui aaaarre techguru…. No sir.Again the same thing happens. Please help me.The file of Whatsapp is not getting downloaded in my Nokia xl.When i click 2 download it starts downloadi.But wen i check d fastlane it shows like 1 file downloading failed. It might be your connection. Better use UC Browser or some other download manager to complete the download. You’re welcome, Rakesh 🙂 Enjoy! Do you have a fast enough connection which can stream a video? Possibly a 3G or WiFi connection? Please download using some other download manager or better use your PC. What error are you facing there? its working… simply amazing. thank u thank u so much dearest one. What 10Mb are you talking about? Pliz help me whatsapp is not working I can.t dounload. Is whatsapp not supported in Nokia x2?? Plzzz help me how i,install whatsapp in,my nokia x2????? Good to know that 🙂 Enjoy! Please try another application/browser to download the file and if it still doesn’t work, use your PC to download. Hello narendra, I am still facing prblm on nokia xl. Plz can u help me that how can I use whats app onmy nokia xl. Plz I will be always thankfull for this. Plz plz. Its my humbl request . How am I to download whatsappdownload? Please help me..I just bought this nokia xl today..
Have you downloaded whatsapp apk file from the whatsapp website? Nokia X series does not support Play Store (at least not officially). Glad that it was helpful 🙂 Enjoy! You need to root your phone. Check XDA as I won’t be able to share any more info. Did you follow the steps in the post? it really works!!! thanks for the help!! Thanks for the feedback. Enjoy! Yaar narender mera matlab ye hai k account me password kaise set karen….jis se koi hmara acc check na kar sake except me…. its not working on my nokia X.. do u have any other way out to download whatsapp on nokia X as I am unable to install it. It actually works fine. Do you see an error message anywhere? Thanks sir for this great help.Now whatsapp works on my nokia xl. Really it works….now I am enjoying my nokia xl last 48 hours…..great efforts man….hats off…also today a notification occurs on my whatsapp for updation,should I update this or not…after updation it will work…plz suggest?? My Nokia x has got formated and I’m trying to install the whatsapp from the link as you have adviced, but I still get Devie not supported. Strange! Can you somehow find out the WhatsApp version that you have in your phone? Once you have the backup, download the APK using the link provided in the post and then open it. Proceed with the installation and it will replace the former version without any data loss. Otherwise you can delete the older and install the newer version. You should not lose your old chats in this case either. thanks so much… for the info, working now. downloaded from the link you posted. I have nokia xl and sw version is 1.1.1.0 can i install new update of whatsapp. Yes, you can 🙂 Works amazingly well. bout the build.prop file…how does one go about it?i ve been able to locate it…how do i edit it? n wat do i edit to? can u be a bit specific pls.thank you. WhatsApp for Nokia X family available!!!! Please check the post. Updated the guide and it’s very easy to install WhatsApp on your Nokia XL. Any error message popping up? But problem is other apps may not work properly. Anyway who use yahoo mail, google, Twitter etc as frequently as watsapp. So whenever you feel like using these apps just change date to current date and reset date back to May month date when u want to use watsapp. And we have a permanent solution now 🙂 WhatsApp is officially supported! Works for all the Nokia X(Android) series 🙂 So yep.. X is included too. I need to use whatsapp and this damn website is so boring. Any sujjestions? If the website is boring, better try somewhere else. I can’t help, unfortunately. Please check the post now. I have updated it with a better way. Hello frndz plz help me my phone is nokia x .whatsapp is not support. I am having Nokia xl.The steps you posted, I did followed it properly. Its not working. Says ” It seems your client is modified..” when I clicked on call me. Is these problems are never going to fix? my nokia xl whatsapp not working and whatsapp plus sms verification error plz help ….. Please check the post now. It works. it shows the version of whatsapp is old.pls download latest version..and after download it shows your device not supports..i have nokia x with version 1.2.4.3. Please go through the post again. The latest version fixes the issue. I have followed Part1, and after clicking on Whatsapp I have got msg that version was absolute on 04 Aug 2014 and your system date is 2 Aug 2014. Its not working, I have downloaded 2.11.238 and whatsappPLUS from the link. Please go through the post again. The latest version fixes the issue. It’s an easy setup now. You’ll love it. It said plz correct your device date. What can I do sir? V r getting an error message after the registration page. After we enter our number, it takes us to the page where it says that this version is obsolete so please download new version. The date of device is set to the date you’ve mentioned, that is 2nd august. Still no use..
None for now and I feel my answer is going to stay the same unless WhatsApp is willing to make it available for Nokia X. Older versions cannot register anymore and newer don’t support it. WhatsApp v 6.15 apk ain’t updating cause of some parse error! I was using WhatsApp+ then it stopped responding cause it needed an update so after that I tried updating and I unstalled all the things related to Whatsapp+ and now everytime I’m downloading it simply saying Parse Error. What to do? Download using a PC and transfer it to the phone. That’s the best you could do. Sadly. No workarounds available as of now. Hey what should I do if whatsapp aint responding cause that version became obsolete on 4th aug and my time is 2nd aug?? Can you mention the specific step where you’re facing the error? You had your date set to 2nd August? The older version should’ve progressed in such a case. Yes, I followed ur instructions n set the date to 2nd august 2014. The installer told me a newer version was released on 4th august 2014 and it wanted me to download it. It never got to the verification step as I had only one choice n that was to download the newer version of whatsapp to move on. I didnt. What’s next for me? starting today again stopped working. What to do? What do you mean by “Failed”? There’s nothing that would fail here. You need to activate using the original whatsapp provided. WhatsApp Plus cannot activate a new account. Whatsapp not working by your procedure.On changing the date whatsapp asks to correct the date and after correcting date it says device not supported in opening. So please help on opening whatsapp it says device not supported. sms for veriy donot sent me! same with me, what to do? Just try now. Post has been updated. Sir it works fine but now it shows a update to version 6.15 so shall I update it and can I turn on the automatic date and time in Nokia XL please let me know ,thank you. After whatsapp plus install successfully using your instructions,it shows if i want to upgrade? ?will it work after upgrading to new whatsapp plus?? Awesome bro 🙂 Good to know that it was helpful. Enjoy! Read the article. You’re required to verify using the original whatsapp first. Read the post. Follow the steps. Please follow the steps in the post. I have downloaded whatsapp but it is showing unsupoorted befor loging in number now what should i do? Did you download from the link provided? If not, I dash l can’t help. You need to read properly. Verify using WhatsApp original. Please read the post and follow the steps. I have done above steps on nokia xl.but whatsapp plus asking for registration again. I have clean the memory using clean master. Whatsapp original is only not getting downloaded..What do I do? Do you face an error? 1. You can only install that after rooting. Try this. I planned to exchange my mobile due to this issue.Thanks, it works now in my nokia x.
That’s great! I hope this makes you satisfied. You should’ve researched then. It runs Android as its core, hence there’s nothing wrong said by the salespersons. You can root your phone and install Play Store and other Google services and if you edit your built.prop file, you can even install WhatsApp normally. If you don’t want to root, follow this post and you will get a working WhatsApp version on your phone. I wouldn’t advice buying one though because of these reasons. It is included in the post. Did to you even read? You can install the new version. No issues. Some videos are actually not available on Mobile. Have you tried playing another one? Using a YouTube app will also be a better idea. Leave the default YouTube app, there are a lot of 3rd party apps like VideoTube. You can use any of them. thank you sir …..god bless u ….hats off for u …I liked it ….good job …. Thank you, Sudip 🙂 Enjoy! Tis working on my nokia x2 dual sim. Thanks vey much dude….you ROCK!!! Thank you for the confirmation 🙂 Enjoy! Mr singh your way is correct but another way go gett wats app perfectly is to goto nokia care and they will give you wats app installed . It’s working!! Thanks a lot!!! Can I update the version…? I follows all the step,mention this website,but when I use my same number in Whatsapp plus verification it shows verification errors. You’re surely not using the same number or else you actually didn’t verify in the original one. Just jot messga to update whatsapp + to new version do I need to update it to 6.12? Hey buddy I am a user of Nokia xl dual sim. And your above trick actually works… now my whatsapp working fine…. I would recommend this trick to all of nokia xl user who are faceing this issue…. Settings> Date and Time. Disable the auto-update and then set the older date. Wooowwwww thanks a lot lot lot lottttttt…..
Good to know that buddy 🙂 Thank you for the comment. Narendra singh ji you are great.thankyou so much its realy working..nd m very happy now.. Thanks dude all things work properly though my account says its out dated wen I change back the date. How can I update this version?? You’ve installed the latest version of WhatsApp Plus, right? Thanks narendar bhai its working. Can I update for new version? Remove that WhatsApp. Change date and then install it again. Most of the banks have their Mobile Banking app for android. Which one are you looking for? is there any way to install whatsapp on nokia x2 android? i applied the same way as u told but it did not work..
Is this happening in every call? You’ve either muted the Mic or else the Mic is damaged. Wao yr its working ….. …… lub ju ………. Whatsapp Not support on my nokia xl…and apps show install the new version & change the date…after installing thr new version I seen this type problem…so please this issue. Wow wow wow yooooo its amazing bro thanx thanx my whatsapp is start thanx for the tips bro thanks.frnds follow the tips and your whatsapp plus will work on your cell..
No. Don’t worry. 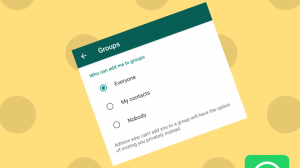 WhatsApp Plus is not a trial, but does include a way to upgrade to unlock a few features. I have perfectly installed Whatsapp on my Nokia X2 mobile. It exactly installed as per the method you have provided to us and also working in awesome way. I am now enjoying whatsapp on my Nokia X2.Thank you very much for your wonderful and applied methods.I admire your efforts and skills.Please continue to provide us more solutions of such a critical mobile software problems. Activate karne k liye master chahiye. Install it from the first part of the post. Did you change the date? Did you install WhatsApp Plus? Which version? i downloaded original WhatsApp and than installed whatsappplus.. but when i proceed to number verification This error is showen…. 1- uninstall clean master app if yo use it. 2- install original whatsapp from play store. 3- go through the setup into the main conversation screen and chat with some friends. Please plz plz help me out. I can’t activated my phone number plz help me. if any new update found in whats app plus please inform our. It has worked perfectly!!! Thanx a mil and keep doing what you do. Sure, sir. I hope this makes your Nokia X experience better 🙂 Enjoy! thanks very much dear mr. Narendra singh for help us…. kya hum whats app plus ko update kar sakte if whats app plus update hua ho to so….. Yes you can. But still be cautious of it brings an update to the base version of WhatsApp. In that case, it might start showing up that not supported error 🙂 The present update is safe to do though. i was unable to downloading zipped file (zipped document) on this NOKIA XL phone. YOU CAN’T SAVE OR OPEN THIS FILE BECAUSE THIS TYPE OF ATTACHMENT MIGHT CONTAIN MALICIOUS SOFTWARE. Please, what can i do to download the zipped document on my NOKIA XL phone. yes sir… but still facing this error……. not working… i fallow all steps….number verification error in whatsapp plus… any other way to download whatsapp plus….???? Verify in the original WhatsApp provided in the post. Then install WhatsApp Plus. i download original WhatsApp and than install whatsappplus.. but when i proceed to number verification This error show…. 1- uninstall clean master app if yo se it. Please tell me now what to do….??? Did you activate/verify using the original WhatsApp? Great to know that 🙂 Enjoy! Great its working…… thnq soo much narendar bhai…. WhatsApp Plus ka konsa version hai apke paas? Million times thanks to you . Before I follow this steps I was downloaded whats app whatsts app + more than 50 times.But finally I got a great solution. Once again thanks a lot my Friend…. Thanks for the nice comment buddy 🙂 Enjoy WhatsApp on your Nokia. Thanks a ton for your help, its really helpful and a lot ppl having the issue can start enjoying their fones. I installed the old version of whatsapp and it started registeration and the I can use the whatsapp from widget.But once I changed the date to present it shows the whatsapp is outdated and you need to install the new version.Hence I deleted the whatsapp and installed plus from the site you mentioned but the plus version did show the not supported sign.Now I am using whatsapp with my date on phone as 3 june.It is giviving me issues with call logs etc.Pls help. I don’t think there is any way to project the screen of the Nokia X.
I will. After you have read and followed the steps. Sorry, but really can’t help individually. You need to verify on your mobile only using the old version of WhatsApp. Tab will not work. bt mere me kaun sa version download karu watsapp ka?? Both. Activate with old, then install WhatsApp Plus. hello guys,i’m getting error can u help me guys? i have nokia x latest software 1.2.4.1 so i’m downloading whatsapp plus from official website and 1mobilemarket…so after all error is when i put my phone number he gave me (remove cleanmaster if i use)and (unistall whatsapp) like this… sure u know this error hope i found the way lol if no way i will sold the phone…. Would you please mind reading the post and following the steps? I’ve mentioned that you need to register using the old version of WhatsApp first. sir abhi Whatsapp plus ka konsa version Nokia xl me support kar raha hi. or ise konsi web se download kar sakte hi. please help me. Thank you 🙂 I will also keep this post updated. Enjoy! so plz help me bro……. Am unable to register after the installation. The SMS and voice verification failed. What will I do because am close to the completion……. You need to register using WhatsApp original. Did you do that? Hey the whatsapp plus asked for upgrade what should I do ?? What version of WhatsApp Plus do you have? Nope, this doesnt work as we want. Yes ur steps I followed and It worked. Problem is we cant revert to the current date. Its the old obsolete erro popping out. Do you have solution ???? Did you even install WhatsApp Plus? I mean followed the step 2 after following first? Отличная инструкция. Всё получилось. На первый взгляд очень сложно, но шаги расписаны подробно. Спасибо большущее! You’re welcome, Vinod bhai. Always feels great to hear comments of this kind. And I will never understand why WhatsApp does not want to support Nokia X when it works fine. Admin ni hora plzz yr xpln it nicely n unknown source krke kuch option he ni h settings me!! Mene whatsApp+ upload kita bt wo mera no. Accept ni kr raha hai ye aa raha hai upload Google play plzzz hlp me narendra bhai n sand me link how to download whatsapp+ plz plz plz hlp me…. Read the post please 🙂 Step 1 and then Step 2. I’ll help you if you face any issue afterwards. Thanks to run my whats app . Very useful your part 1 or part 2 .very very thanks sir. Thanks a billion times. At last I am using whatsapp . Option 2 worked perfectly for me. Plz sand me link how to upload whatsApp+ for nokia xl. Thanks a Million for this solution. Finally option 2 worked. Kudos to you. You didn’t actually followed the part one, else you wouldn’t have seen this 😛 Do it again.. Part one and Part two afterwards. Excellent, instruction is straight forward. By following part 1 and 2, the 2nd part of the installation of whatsapp+ did indeed remove the device not support error message. Great job. Thanks a lot. Will definitely check again if the current whatsapp run into compatibility again. Narender Singh i personally SALUTE you not ‘Nokia’ as such. I was desperate after realizing the problem but its solved. God bless u.
I have installed properly and was working fine.But since 4 days asking to update to whatsapp version,Can you give me solution? Even if I use nokia browser its not working.. same error! Open Astro File Manager and browse to the download folder in sdcard0. Open WhatsApp from here. Does it install now? Its showing the same error bro! There was a problem in parsing the package! Sure! Ill try n let u knw..! Which browser you used to download? but after few second I start receiving my old msgs and when I click on msg in Recent tab………. Its start working 🙂 Many Thanks Narender Singh for your Post of the year. Now one msg appeared that is you should update you WhatApp in 3days. Pls advice how to proceed and what about date setting ?? should I set is again on current date or not ?? I guess you forgot to read the part 2 of the post. You need to uninstall that WhatsApp and install WhatsApp Plus 🙂 Links are in the article only. Did you install WhatsApp plus? Yup I have installed whats app plus. After I change my mobile’s date to present date it stops working. Please help! Works fine for me and many others. You’re doing something wrong. Can you tell me the WhatsApp Plus version that you have? As you’re already verified, just remove that WhatsApp and install WhatsApp plus provided in the article. Unless you provide more info, I’m sorry. You firstly need to activate it by following all the points under Step 1. Thank you for the blessings, Nabeel. Take Care and enjoy! the sms verification failed on my nokia XL while confirming my phone number. Did you enter the correct code from the sms? Hmm.. Did you try asking for a callback? Good Its working thanks for the information. Wow, thanks so much!! I now have whatsapp back on my Nokia x! Thank you! I checked ur post last night it was not updated but you updated this morning. Thanks, but not helpful as when I try to complete Part 2, Inst. 6, it again says this version is very old and you need to upgrade. And guess what it only shows a download option and take to normal whatapp, which will again give Nokia Compatiblity issue. So we have options to either download New version or go back(skipping use of WA). There might be some caching issues which caused old post to be displayed for a prolonged period. As about the working, are you certain that you downloaded THIS version of WhatsApp Plus? If you’ve downloaded the one which was provided before updating the post, kindly remove that and download this new one. Thanks for the confirmation 🙂 Enjoy!! Whatsapp not supported on my nokia xl….only shows this app not supported on your device so please resolve this problem..
Did you update to the latest WhatsApp Plus? That didn’t happen with me and many other users have confirmed this to be working. Can you retry from the step one? That needs to be done via the Original WhatsApp. Only after that you will be able to use WhatsApp Plus. How will I do it yet the real whatsapp is outdated and the updated version cant open? As the post tells, push your phone’s date a few days back and then activate original WhatsApp. Then remove it and use WhatsApp Plus. U r the boss…..I have installed it…… hope one day u will be the CEO of nokia…..
Hey I’m having the same problem, whatsapp was working on my nokia xl via whatsapp plus until 4th of August where it said it needs to be updated. I did what you said but after installing this version I’m having registration problems, it says you aren’t connected to the internet even though I am… please help out …! Please try restarting your phone. I tried every step u mentioned above but both whatsapp and whatsapp+ is still not working. may be i am mixing so many things and steps u hv mentioned above or i am not sure which application should i select to download due to confusion. Is it possible for you to narrate the procedure step by step and let us know which application we should select. BTW i use Nokia XL. I downloaded whatsapp+ from this link that u mentioned above and it is working perfectly fine until the date in the phone is before 4th aug.. as soon as the date changes to 4th aug, whatsapp+ stops working giving the notification that the version is now obsolete… what to do?? Did you really install the version that was provided in the post? That’s a newer version. When did you download? Updated the post. Should work fine. Every nokia ussers whtsapp iz wrking ??? Check the post again 🙂 Updated it. What is your WhatsApp Plus version? The update seems to work fine. Can you follow this post again? Thanks… it works. .. but now it asked for update.. which notifying that new version support nokia x series… kya isey update karna hoga.? Thank you very much…..it’s Woking in my nokia x……. And you can update WhatsApp Plus now 🙂 Works fine with newest version. So, there is a new update available, says it’s update from v5.80 to v6.60? Should I take the risk to download this update? Cause I scare If I do, it will then not support the latest whatsapp+ version. Does it mean we will stuck at the older version of whatsapp and can never to be update to more better version?! I went through all the procedure mentioned but still after installing whatsappplus it’s not verifying, any other alternative method..! Waooo .. thanks .. this is a life saver … worked for me. Simply follow the procedure as stated in the original post and it will work. Am really delighted at this solution. I was astonished to find out that whatsapp does not work normally on the Nokia XL after I purchased it. I made online searches to see how I could resolve this issue, after several tries I got this solution that works. I am a hppy user of my new Nokia XL smartphone now. But really, Nokia should go straight and fix this issue of whatsapp not working as a standard app !! Works like a charm!! Thank You!!! For those who still keep getting errors, download the files he has posted. The newer versions of whatsapp or whatsapp + do not work. Could you try using another browser to download? I tried with the Default Browser (Internet) and it worked fine. It works, but then it says there will be an update available, from v5.80 update to v6.00. When the download of updates complete, I install it n it says whatsapp+ is NOT WORKING. damn, it doesnt work after a simple update?! Rather unfortunate. You gotta avoid that update, if possible and it should continue to work normally. it cant jus work,my nokia even search and find the application.oops! Sir maine watsapp orignal delete kr k watsapp plus download kiya lekin ye ab b does not suprt hi bol raha h pls tell me abt this..I hv nokia xl. i did as you have mentioned above.. but i get error saying “sorry,your device is not supported. After that step, you need to download and install WhatsApp Plus. i have nokia x but i cant open whatsapp but when i try to open it reply [ sorry , your device is not supported ] please assist. 1: uninstall all whatsapp apps from ur mobile. 5: after completion it will ask for registration simple follow steps and IT WORKS !!! It was working til the last update to WhatsApp plus. I’ll update the post soon if I find a solution. Whtsapp plus shows “whatsapp is obsolete and its not working” on 4th August. Do not download the update as you will start facing the error again. Keep the old version for as long as it is supported. if you follow the steps properly, it works. Else, send me a message on the facebook page. Hi Narender, bro the problem that I m facing is that as soon as I install the original app, it doesn’t even go to registration screen so that I can enter my mobile number.. so i cannot then uninstall it and download whatsapp plus as it is of no use.. kindly help me as to how can i get the app to register my number after installation.. thanks..
You need to download the Original WhatsApp from the link provided in the post. I am sure that it lets you register, if not do more. After your account is activated, remove it and install the WhatsApp Plus version from HERE and DO NOT update it as updating will cause the same not supported error there as well. I will also update and further improve this article, making it more clear. You’re not required to install Mobogenie. Just install WhatsApp from that link. Hi, I’m using Nokia X2 (The one that came out almost a month ago). I’ve been trying to install whatsapp but I can’t get through. According to your procedure, whatsapp opens and lets you register first, THEN it says your device is not supported. But on my phone, the moment I open whatsapp, it says your device is not supported without even showing the registration menu. Please help. Sufian, did you try the version of WhatsApp that I included in the post? Newer versions than that show the error much sooner, hence impossible to activate. How I can activate the original whatsapp ? I cant activatd coz its telling app not supportted by the device..
Where did you download the original from? The one that I have provided should easily let you verify before showing that error. You need to follow the steps properly. Fastlane will only show the download if you start it from the site. Thank you for the comment. I am sure everybody who has followed the steps properly got it to work in the first attempt 🙂 Enjoy! Install and activate the Original WhatsApp first. Im very thnkfl to u dude,,,great job,,dnt msundrstnd me….ummmmmmmmmaaaaah…. Everyone who were not buying Nokia XL or the Nokia X series just cause it is not having Whatsapp pre installed. must try this. Actually, latest version of WhatsApp does not work. Users need to download the one provided in the post. The link to download older version of whatsapp is not working. Pl advise.. I m trying to activate whatsapp in nokia x plus.. pl help..
Just checked. It works fine. What error do you face? the particular document at docs.google.com is unaccessible.I get problem loading page error. I downloaded whatsapp+on my new nokia xl but when I press yes for sending the verification it shows some error. Please install and activate using original WhatsApp provided in the post. thks for ur support, it really helped i’m now using whatsapp+ on ma nokia x. Refer to the steps written in the post. If you face an issue with a particular step, let me know. Check the post. I’ve included the link. You need to install the original whatsapp first. Thanks dude, the most helpful suggestion from you. Bcoz i suffer from a week and get your device is not supported msg in whatsapp Nokia X. Thanks a lottt, you and whatapp+ rocks!!!!! hi! Thanks for your valuable review. Currently I am using my whats app+ with no Issue.. Gr8 Dude. Please read the second portion of the post. Payal, what happens when you enter the code provided by the IVR in call? Any error message there? You need to activate WhatsApp (original) first and only then WhatsApp plus can work. This is because WhatsApp plus cannot connect to the verification server. then i uninstalled it and installed the whatsapp plus.. without any issue its working smoothly.. till the issue is sorted out i guess we had to rely on whatsapp plus…. Whatsapp plus is working fine ….once you want to install whatsapp and to activate it….then you can restore the messages while installing whatsapp plus. I tried whatsapp plus also..but it’s not working. It worked fine when I tried it. What error are you receiving now? I am using Nokia XL and face the same prob after updating Whatsapp to latest version, Thanks to Whatsapp+ team its working like a charm on my Nokia XL now. I too have a nokia xl but after updating I can’t access through it ……. hi i have installed the watsapp by transferring the app from one of my andriod phone through app back up and restore , while i tap the icon its shows its not supported but i can recieve the messages . any other ways , kindly help . i have downloaded whatsapp but when i tried to verify my number on whatsapp it always says please connect to your internet connection but internet connection is connected . please help me what should i do ???????????????? Please go through this Link. This is the old version and it is supporting.Enjoy..
Whatsapp is not suported by nokia x,tell me what to do nw? 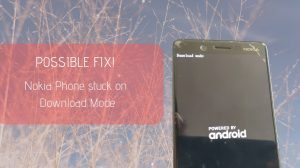 i did try installing it tru 1mobilemarket but after typing nmber shows the device is not supported is there anyting else we can do? Please try installing it via 1MobileMarket. They earlier had a slightly outdated version which worked fine. You can download it through 1mobile market…..
Go to store > Type 1mobile market > click on 1mobile market > Download it (2.64 MB) > install it > open this store > search for whatsapp > download whatsapp messenger (free to install) (13.8 MB) > Install it > If blocked allow the device to download from unknown sources. > Give your access permissions and enjoy…..Worked on me….. Thanks Jose. Yep that works being 1Mobile still houses a slightly outdated version of WhatsApp. I wish WhatsApp genuinely sorts out the problem.